BELIZE CITY, Mon., Sept. 13, 2015–The 217th anniversary of the Battle of St. George’s Caye was celebrated throughout Belize under the theme “Belize Renewed: Confident, Competitive, Committed” on Thursday, September 10. In Belize City, a ceremony to commemorate the occasion and officially launch the day’s activities was held at the Memorial Park, and in attendance were the Mayor of Belize City, Darrell Bradley; Chairman of the National Celebrations Committee, Hon. Manuel Heredia, Jr.; the Leader of the Opposition, Hon. Francis Fonseca; the Deputy Prime Minister, Hon. Gaspar Vega; the Chief Justice Kenneth Benjamin; the Governor General, Sir Colville Young; and other distinguished guests and citizens of Belize. After the formal speeches, the crowning of the new Queen of the Bay took place. The crown was passed from last year’s Queen of the Bay, Monisha Stuart, to the, 2015-2016 winner, Falon Tiana Cain, who became the 70th Queen of the Bay. 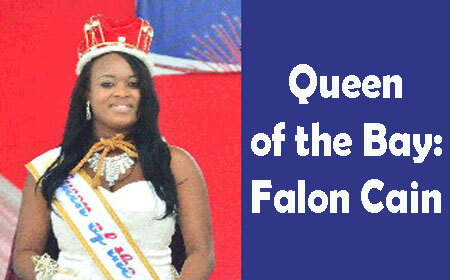 Cain, a resident of the Stann Creek District, became the 8th person to be crowned Queen of the Bay from that district. A cultural presentation ended the ceremony; this was followed by the citizens’ parade through the streets of the city, which ended at the Yarborough field, where more festivities took place.